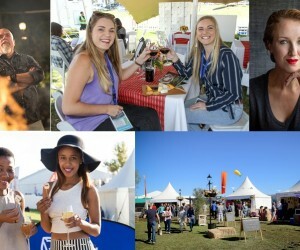 "The SA Cheese Festival has grown into South Africa's most popular outdoor food experience," says Johan Ehlers, Chief Executive Officer of Agri-Expo, who has hosted the festival since 2002. "It offers an unparalleled value for money platform for visitors to taste, buy and enjoy cheese and complementary products from about 150 exhibitors, and especially to test entrepreneurs’ innovative creations – from insect ice cream to abalone pie!" According to Ehlers, visitors can also look forward to "Are you a ‘BOK’ for cheese?" with the Bok Radio Breakfast duo Wimpie and Le-Lue featuring SA’s 2019 Dairy Product of the Year – the 50/50 goat’s and cow’s milk cheese St Francis of Ashisi of Belnori Boutique Cheesery. Also on the programme are SA’s Top Ten Chenin Blanc in collaboration with Standard Bank; and cheese-and-wine tastings by Fairview's chief winemaker Anthony de Jager (Friday and Sunday) and owner Charles Back (Saturday). “Last year, the Tasting Room sessions were extremely popular and festival goers should arrive early to ensure a seat," Ehlers recommends. Big and small can win fantastic prizes (and of course delicious cheese!) in the Ladismith Cheese Carving Competition for which visitors can enter daily before 13:00 at Blossom's Gazebo. Entries are free, but space is limited. And at the Music Gazebo, festival goers can enjoy performances by artists such as ShenFM, Absolutely Fabulous, Sincere Swing, The Grey, Under Cover and SHIM SHAM Band. According to Ehlers, the SA Cheese Festival offers the ideal platform to support boutique manufacturers. 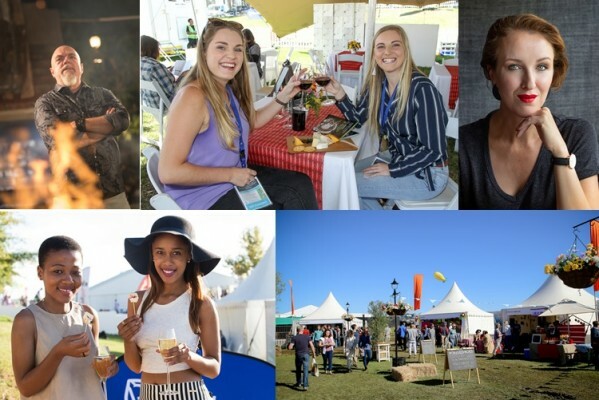 "Stalls with a select collection of wines are situated just outside the Cheese Emporium – a move from inside that was received overwhelmingly positive by festival goers last year," says Ehlers. “Our focus is on discovering new tastes – from wine and craft beer to gin with honey, almond, buchu, strawberry or chai. We promote responsible use of alcohol and recommend that festival goers make use of shuttle services and taxis. " Friday 26 April is the first day of the festival and therefore the ideal day to experience the festival at a slower pace before the weekend gets busy. Watch out for "Raak ‘n bietjie rustig" packages on Friday 26 April – perfect for groups such as book/garden/crochet/coffee/bowls/lift clubs. Buy three adult or three senior citizen tickets and a fourth friend can attend the festival free of charge.